Looks at how to defend yourself in the urban environment, against muggers, rapists and Rottweilers without breaking the law, how to secure one's home and property against intruders and how to protect yourself, your family and your business from terrorists. The author spent 18 years as an instructor in the SAS and upon retirement became the author of "SAS Survival Handbook". This book looks at how to defend yourself in the urban environment, against muggers, rapists and Rottweilers without breaking the law, how to secure one's home and property against intruders, how to travel in safety, how to protect yourself, your family and your business against terrorists, and lifesaving techniques should the unthinkable occur. 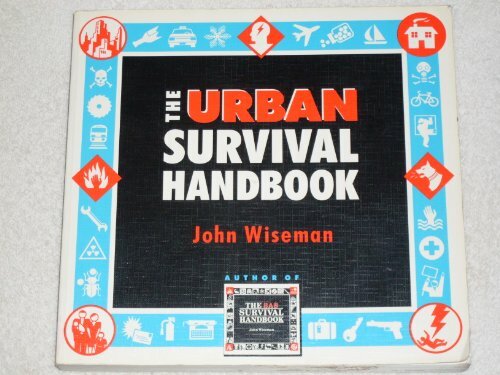 "The Urban Survival Handbook" is an illustrated guide which attempts to be a useful, educational and lively companion for everyone who inhabits or ventures into the urban jungle.